Selling diamonds online, sounds ideal. Create an online business, upload your diamond inventory and just watch the orders flow in. Sounds great – but unfortunately there is more involved! What are the advantages of an online diamond business? Well, just like an online store, you can save significant costs. No rent, utilities, salaries and other costs associated with a brick-and-mortar store. An online store also levels the playing field: on the Internet everyone looks the same whether a small, medium or large company. Selling diamonds online enables you to compete more effectively with your competitors, especially against bigger companies. An online presence for businesses is a highly cost-effective way of marketing your diamonds and communicating with potential clients. It also tells them that you are a professional company abreast of the latest trends and providing customers with a convenient way of buying diamonds 24/7 every day of the year. EasyStock will create your Search Engine Optimized website which will pay itself off very quickly because the text is adapted to ensure that your site is at the top of the results page when people Google search for items and services that you sell. EasyStock has been carefully created to run in the background allowing you to carry out your other daily activities. You simply upload your complete diamond stock and keep it updated and answer email requests for more information about specific items in real time. We know that selling diamonds online can be complicated, which is why we have taken out all the headaches by giving you a full range of options for you sales with an advanced Content Management System that does not require any previous knowledge. Whether you want to sell an individual diamond or upload 100 diamonds, white diamonds or color stones, diamonds and jewelry, a traditional website or one custom-made for use on smartphones and tablets. We have the solutions for easy and efficient ways of selling diamonds online. Our aim? 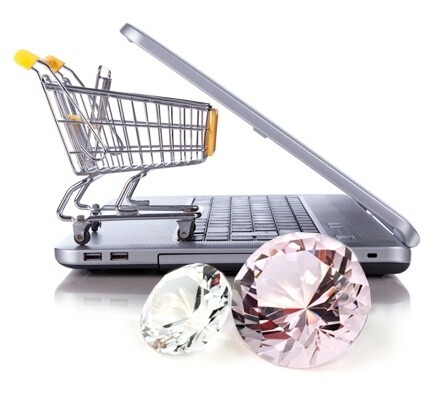 To empower you with a cutting-edge, powerful online sales tool for your diamonds.